One of the services we happily provide to our customers is the implementation of widely publicised MODs to the Blues Junior and also the Pro Junior amps by FMIC. Indeed, modding the Blues Junior has turned into a growth industry the last few years ! Having completed any number of such MODs, we are in a position to advise customers as to the best choices for their particular requirements. You can understand that the law of diminishing returns applies to modding amps, whereby customers can spend a lot extra for only a slight improvement in tone. 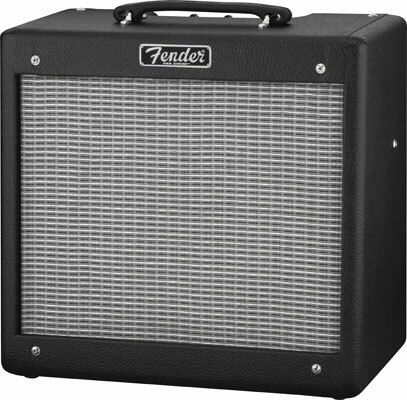 Nevertheless, both these amps are relatively inexpensive to begin with, so spending a few hundred $$$ bringing them up to performance standard is easy enough to justify. 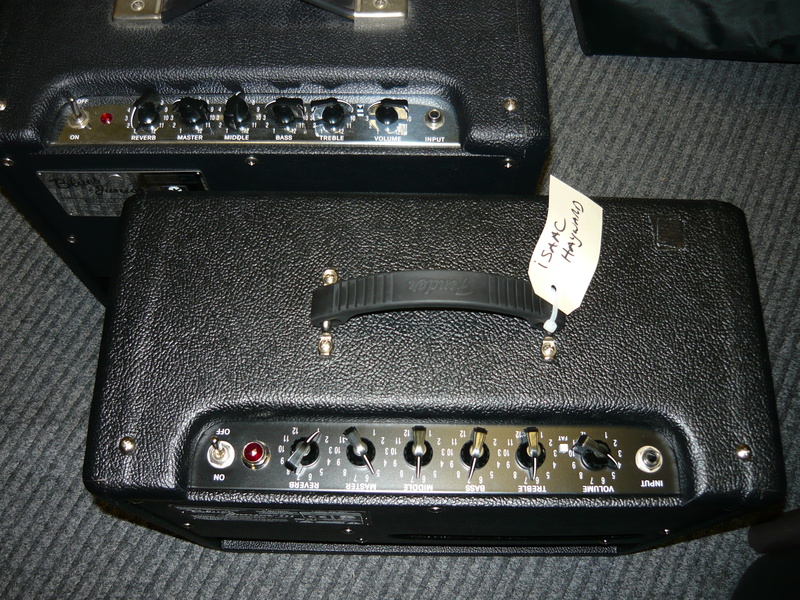 Our original approach to modding these amps, long before we had even heard of the Bill Machrone mods & website, was simply to install better valves (tubes) for a warmer tone, to sort out the instability issues (due to bad layout & lead dress), and to alter the fixed bias network to reduce the quiescent current drawn by the pair of EL84 output valves. We have never been happy with the Groove Tubes 12AX7 valves, for example, and some of these amps were biased so hot that the EL84 9-pin p.c.b. mounted sockets were desoldering themselves ! We heartily endorse many of the Bill Machrone (or BillM) MODs, in particular the power supply capacitor MOD, the signal path capacitor MODs, and especially the adjustable fixed-bias MOD. The replacement of the power on/off toggle switch with a 3-way toggle that gives off/standby/on is a great idea on any valve amp with a solid-state rectifier which is missing a separate standby switch, and is definitely recommended. Many of the other BillM MODs could not be regarded as absolutely essential, and should be assessed individually as to whether they would enhance your own use of this amp. Some options include additional front panel controls, such as prescence and sparkle, an alternative boost function, and upgraded transformers – even conversion to 6V6 or 5881 operation. For owners of the earlier versions with input jacks that are prone to breakage, the Switchcraft metal input jack could be a worthwhile option. 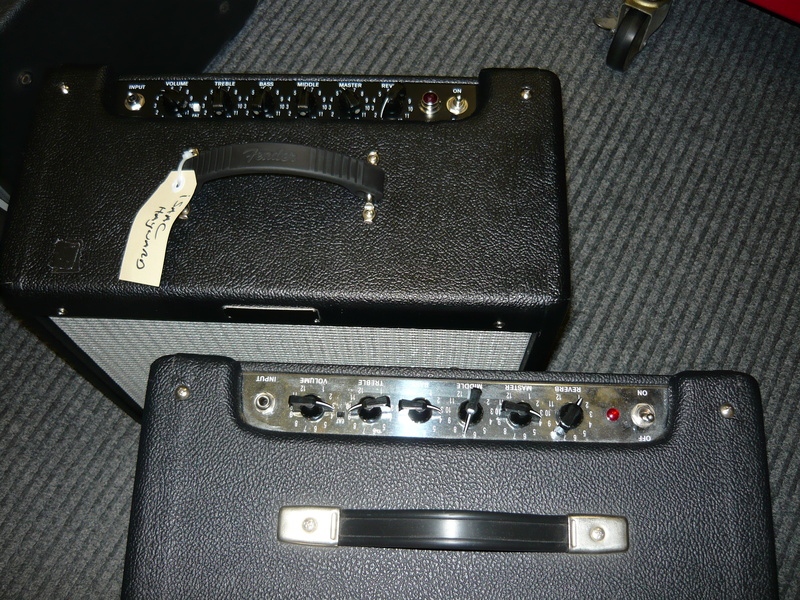 The most significant upgrade to either amp would be replacement of the stock speaker, a 12-inch driver in the case of the Blues Junior, and a 10-inch driver in the case of the Pro Junior. The most obvious choice would be one of the Weber VST models – we can advise you on this at the time we implement the chosen MODs, as there is a bewildering array of models to choose from. If you are a jazz guy, we also recommend one of the Jensen NEO models, for their balanced frquency response and high power handling, late break-up. The starting price for the basic MODs is $180.00 AUD parts & labour. We have allowed 2 hours maximum for this. For example, if you ordered every single MOD available, we would have to allow for at least 5 hours labour content. We can quote you re your chosen options, and we can order the recommended speaker option on your behalf. Customers of note who have had their amps modded include James Black of RocKwiz Orkestra fame & one of Australia’s most in demand musician/producer/musical directors of the last three decades, Illya Swec (blues guitarist based on NSW South Coast, solo career plus Robert Susz Continental Blues Party), Isaac Hayward (successful Sydney based guitarist/arranger/musical director, including The Rock Show with Jon English), and Paul Disspain (musical director of any number of NSW Central Coast music projects). 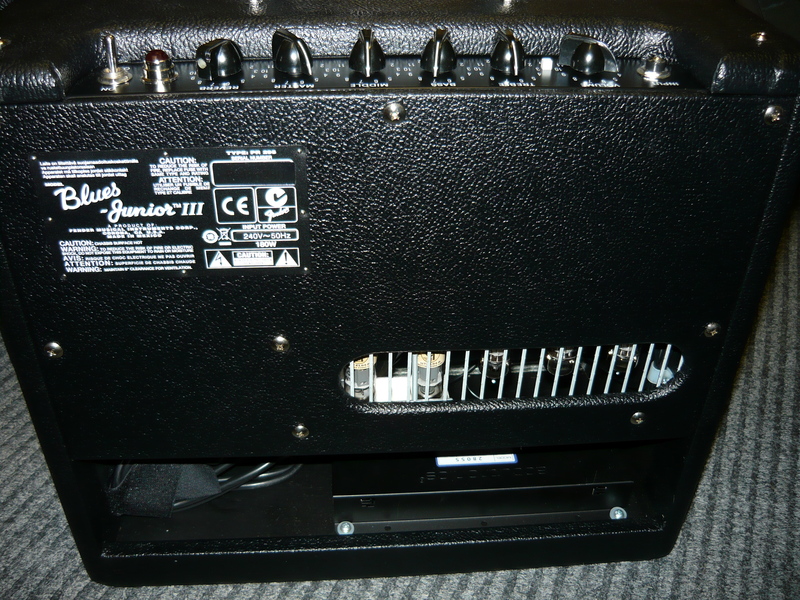 This entry was posted on April 25, 2012 at 11:50 am and is filed under Amp Repair, Amps. You can follow any responses to this entry through the RSS 2.0 feed. You can leave a response, or trackback from your own site. 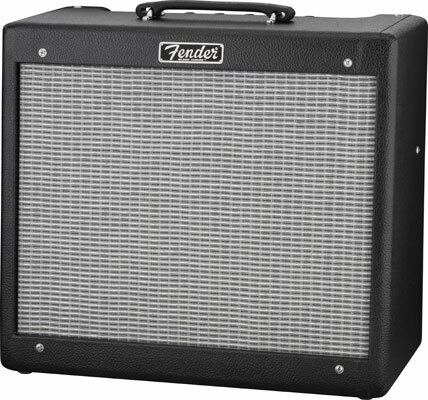 So can u make a list of the mods u can provide & costs on the BJ & perhaps the Princeton 65 reverb? The little Diason is exactly the same as my maton amp.Which surpised me greatly. I wonder who the original manufacturuer was? Would luv to get mine restored. It has a cloth covering with a lacquer finish? Would this be hard to recover in this style?